For decades, lenders used Good Faith Estimates to explain closing costs to home buyers. These estimates, called GFEs for short, contained recurring and non-recurring closing costs. While some recurring and non-recurring closing costs were clearly defined, others remained murky. For example, nowhere on the GFE did it spell out the borrower's monthly PITI mortgage payment. Since the lender was not required to stand behind those numbers, they could be misleading and were often inconsistent among lenders. In an effort to provide more disclosure to borrowers, the federal government began requiring lenders in Oct. 2015 to provide prospective borrowers with Loan Estimates. A Loan Estimate is a standard form provided to prospective borrowers by lenders. It provides very specific details about monthly mortgage payments. Unlike a GFE, a loan estimate provides estimated PITI and information about how borrowers' payments could change should interest rates increase in the future. Loan Estimates also provide information consumers should be aware of – but might not remember to ask about – such as prepayment penalties and whether negative amortization applies to their loans. Loan Estimates use simple language to explain loan terms. Prospective borrowers should note that a Loan Estimate, no matter how detailed, does not obligate them to apply for a loan with a particular lender. Note that the law still permits GFEs for reverse mortgages. 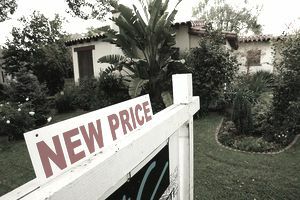 Some home buyers are shocked when they discover that homes often cost much more than the stated price. While a buyer doesn't pay sales tax on a single-family residence or condo, a buyer does incur additional fees to get the loan and for processing the paperwork to buy a home. The closing costs run about 3 percent of the sales price when the home is priced over $200,000, and a higher percentage applies when the price of a home is less than $200,000. Fees that are paid once and never again are called non-recurring. Recurring fees are those charges that you will pay again and again. ​When your lender issues your pre-approval letter, it will include calculations to show that you have enough in reserves to pay for your closing costs. For example, a home that costs $300,000 could really cost $309,000 if you have $9,000 in closing costs to pay. That's about 3% of the sales price. If you don't have the extra money, that could be a drawback. However, your locality might offer first-time home buyer programs that will allow you to obtain a second mortgage, generally without any payments, to cover your closing costs. You might ask your mortgage broker and real estate agent for a recommendation to such a program. These second mortgage loans are often referred to as a silent mortgage since there are no payments and it doesn't need to be paid off until you sell the home or just decide to pay it off. You can also obtain funds from family members with a gift letter to help pay for closing costs. Just don't let the fact that you don't have enough money to pay closing costs stop you from buying a home.